Sit down at the Oracle Soup table for a perky cup of tea with Katrina, Gina and their “Kitchen Table” conversationalist, Thalassa Therese. Thalassa is not shy and shares a wealth of experience and perspective on Tarot, oracles, and brain biology…to name a few topics. 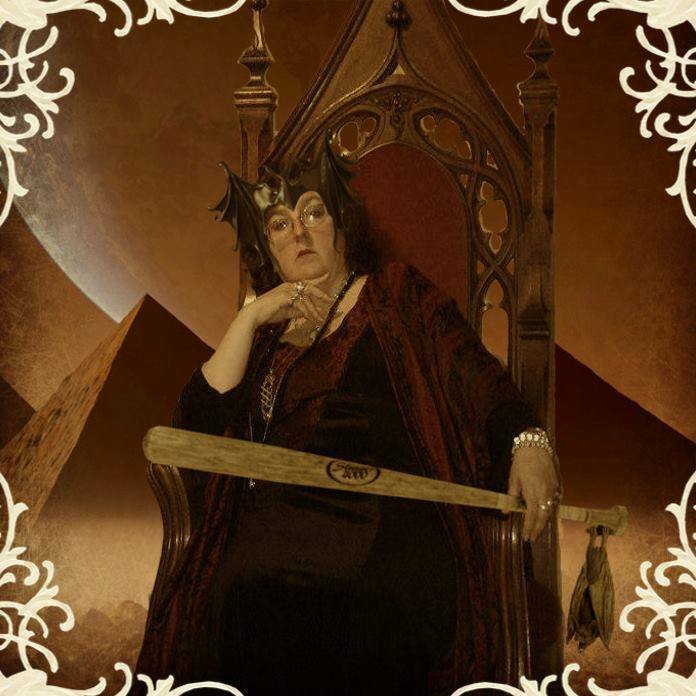 Best known as the hostess with the mostess…producing the San Francisco Bay Area Tarot Symposium (SF-BATS) for the past 25 years, she has plenty to share. Greetings Lovely Ladies. There was a bat in my soup and the Queen of Cups in my coffee. The problem is: are these images under public domain and if not how do I received permission to use them? It is not universally true that if one uses images for educational purposes that the copyright issues need not be addressed. Always error on the side on gaining permission to reproduce images. Respectfully submitted, Nora Whitley Abelite M. Ed. Hey Nora…thank you for your important comment. In a previous “Kitchen Table Conversation” with Thomas Michael Caldwell we discuss intellectual property, copyright, and permission to use issues. Link here. In the case of the BATS Queen image on this page, Carrie Paris, the artist, graciously allowed the use of her image and there is a link to her website. This is an example of what you bring up for consideration…recognizing and giving credit to the artist.